Lady Liberty had a single tear trickle down Her cheek on January 27th as Her breasts heaved with happiness and relief that a U.S. President, Donald Trump, was finally implementing a sound, logical and sane common-sense approach to who receives visas and permission to enter the United States. However, Lady Liberty cried profusely, upon learning that President Trump’s ban on travelers from seven predominantly Muslim nations was only temporary. On January 27th, Pres. Trump placed a 120 day block on all refugees and a 90 day ban on travel from Iran, Iraq, Libya, Syria, Yemen, Sudan, and Somalia. Three of these countries are U.S.-designated sponsors of terror and the rest are war zones; this is about the safety and security of the American people, and it is far from discrimination against Muslims. Congressional members of both parties have promised a biometric entry-exit tracking system on visas for over two decades, and the 9/11 National Commission on Terror Attacks on the United States recommended it thirteen years ago, noting that forty percent of all illegal aliens simply overstayed their visa just like many of the nineteen 9/11 terrorists. Section 7 of President Trump’s executive order calls for this biometric system that has long been delayed by lobbyists from foreign governments, universities, immigration legal firms and the ACLU. And now, with the flames of violence fanned by the Leftist media, America is witnessing violent social convulsions from Berkeley, CA to New York City. Violent communists and anarchists, supported and largely financed by the American Communist Party and the billionaire trouble-maker George Soros, are attacking any conservative counter-protester with pepper-spray and poles, and they are setting fire to their cities. The Washington Post quoted protesters outside the White House saying, “Islamophobia is unpatriotic” and chanting “Let them go … Let them in”. The Left fears that Trump’s executive order is the first step towards a return to pre-1965 immigration policies that favored Western Christians. The Progressive Communists of the Democratic Party have advocated their anti-Western, anti-Christian ideology for over four decades, and they have promoted open borders, globalization and endless immigration from the Third World, in order to destroy America’s Founding Principles through a dangerous form of multiculturalism that encourages ethnic separation and authoritarian government in a hellish “utopia”. If this executive order was truly a “Muslim” ban, as asserted by the Leftist “mainstream” media, why didn’t it include forty other Muslim majority countries, including Indonesia and Saudi Arabia, where Christians are regularly intimidated and persecuted? Even if this had been the full Muslim ban once proposed by Trump, so what? An indisputable fact, America is a nation of immigrants, but entering America is a privilege, not a right, and since 1882, Congress was seen as having broad authority over this issue, as our nation’s lawmaker. The U.S. President, too, has broad discretion, under the law, for national security purposes to bar a class of person detrimental to the U.S. from entering the country. Any country, including America, cannot maintain its national security, traditions, cultural identity – its heritage – unless it approves or denies entrants based on the country of origin. Isn’t it revealing that every country listed by President Trump bans Israeli citizens? Reuters reported on January 31st that the Council on American – Islamic Relations (CAIR), a Muslim Brotherhood organization, was preparing a legal challenge. 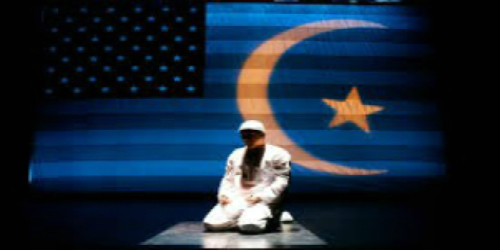 CAIR contends “the order targets Muslims because of their faith, contravening the U.S. Constitutional right to freedom of religion”. Contrary to the assertions of Islam’s apologists, the so-called “religion of peace” is a manifest and existential evil ideology, and the Muslim Brotherhood is just as committed to the destruction of America and the West as its Al Qaeda and Islamic State associates. Islam and its followers are at the center of this debate regarding America’s national security, because they are at the center of so much terror and death around the world, a “religion” [ideology] that professes to be good and “peaceful” with millions of its faithful followers actively supporting or waging violent jihad, killing apostates, hanging homosexuals and stoning women. Senator Chuck Schumer and Rep. Nancy Pelosi shed fake tears over President Trump’s so-called “Muslim ban”, and yet Pres. Obama banned Iraqis in 2011 after two Iraqi terrorists were discovered in Bowling Green, KY selling arms to terrorists back home in Iraq. Did they cry then? Did they cry for the victims of 9/11? Boston? San Bernadino and a litany of other U.S. cities? And have they shed a tear or castigated Japan for its nearly complete ban on Muslims? Americans might like to hear those answers. Several independent studies [Rasmussen, Harvard, PEW] show that a full quarter of the 230,140,996 million “moderate” Muslims of Indonesia [total population 258,316,051 million] support the goals of the terrorist groups of Al Qaeda, Hamas and Hezbollah. Overall, approximately one-third of all Muslims approve of Hamas and one-quarter hold Hezbollah in high esteem. And, just as troubling, 15 percent of Muslims in Turkey, a NATO ally, support suicide bombings. Thousands of educated Muslims worldwide probably acknowledge that the violent terrorism of the Islamofascists, who are fighting in North Africa and the Middle East, is driven by a political ideology embedded in Islam, the Koran and the Hadith [the teachings of Mohammed]. And while a few hundred of these enlightened Muslims might actually seek the reform of Islam, millions more of devout Muslims still follow the Koran quite literally, quickly dismissing any attempt to reform Islam as heresy; many of these are the same Muslims who refuse to fully integrate into any host nation they reside, as blatantly witnessed in the United Kingdom and France, and even in some parts of the United States. President Trump’s travel ban is more about the preservation of everyday ordinary American lives and liberty, and it has nothing to do with Islamophobia, racism, fascism or xenophobia. Anyone with a modicum of common-sense can understand that Muslim immigrants require greater scrutiny, especially in light of several past visa screenings that failed to identify foreign nationals who later committed Islamic-inspired terrorist attacks in America. Isn’t now the time for the majority of Americans to demand an immediate and permanent ban on all Muslim immigration? “We only want to admit those into our country who will support our country and love deeply our people,” President Trump said, shortly after announcing the travel ban. President Donald Trump has the moral and intellectual clarity to win this religious war, because he can name the enemy, and he has the courage of his convictions. He is already reminding Americans of their country’s proud heritage and exceptionalism, while he refuses to allow the intolerant Islamofascists to turn our tolerance and charity — our strength — into weakness. America’s leaders cannot be so overly sensitive in defending other cultures that they stop defending ours. A sane immigration and refugee policy won’t make the Muslims hate America any more than they already do; they hate us simply because we exist. And in the end, if we follow President Trump’s lead, America will be kept safe and Americans will rediscover their Western identity and the Judeo-Christian principles that made America the Greatest Nation on Earth. And Lady Liberty will smile again.